Samsung has finally killed off its fire-prone Galaxy Note 7 smartphone. But there could be as many as two million devices still out there, according to analysts. Here's what you should do if you own one. 1. Stop using it immediately, and switch it off. 3. Keep it away from airplanes and trains. 4. Visit your local Samsung (SSNLF) store, mobile provider or the retail outlet where you bought the phone. The decision to halt production and sales of the smartphone was made only a few hours ago, and Samsung has given little information about what owners can now expect in terms of compensation. You'll be offered a Galaxy S7 or Galaxy S7 edge in return, plus a refund of any price difference. Customers can also get a full refund. If you decide to exchange a Note 7 device, you'll also get a $25 gift card, in-store credit, in-store accessory credit or bill credit from some carrier retail outlets. If you bought your Galaxy Note 7 from Samsung.com, you should call 1-844-365-6197 for information as to how to proceed. Samsung will begin exchanging Note 7 phones for other Samsung products, or a refund, on Thursday. The exchange program will run until Dec. 31. If you choose to swap your Note 7 for a different Samsung smartphone, you will also be given mobile vouchers worth 30,000 Korean won ($27). Samsung's website has yet to be updated. 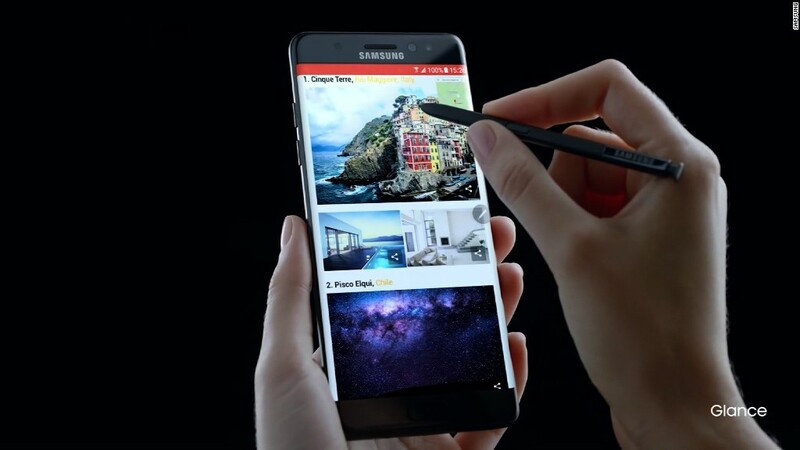 It is still directing owners to an exchange program offering replacement Galaxy Note 7s. 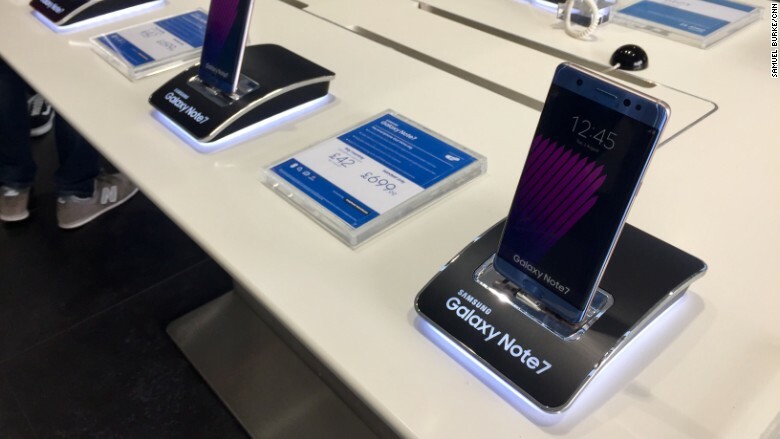 One Samsung store in London even had a Note 7 device on display, and charging, hours after the company warned owners to turn them off. -- Samuel Burke contributed to this article.